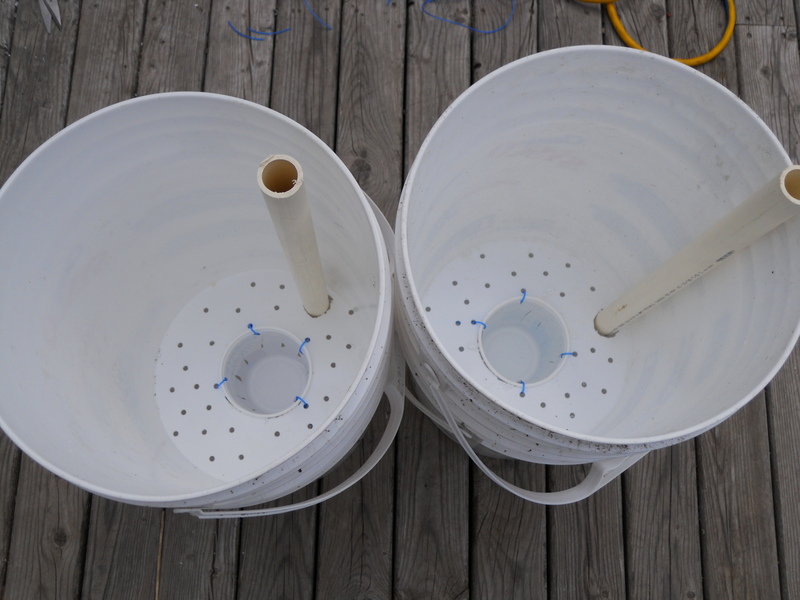 Last week we built a couple self-watering containers for workshops given in Eastern Passage and Bayers-Westwood. Below is the how-to with all our photos. And here is a simpler one-pager you can print off to have with you while you’re building. We realized it’s actually easier than it looks, as long as you have the right tools. A 1” tube (at least the height of the two buckets when one is inside the other, about 17”). You will be pouring the water through this tube. Why self-water? As its name suggests, a self-watering container regulates the water a plant receives through its own water reservoir. Why build it yourself? You could easily just go out and buy a self-watering container, there are several models available. But consider that they can be expensive. Building your own needn’t cost more than 5 bucks. 1. Cut a hole in the bottom center of one of the buckets. 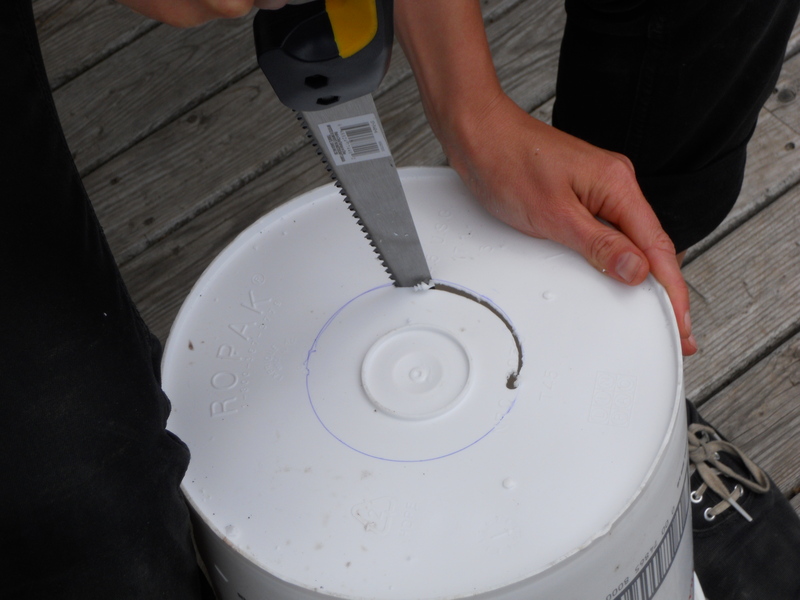 Do this by tracing an outline of the cup on the bottom of the bucket, and then cutting a little inside the line with a keyhole saw. This will be the inside bucket. 2. 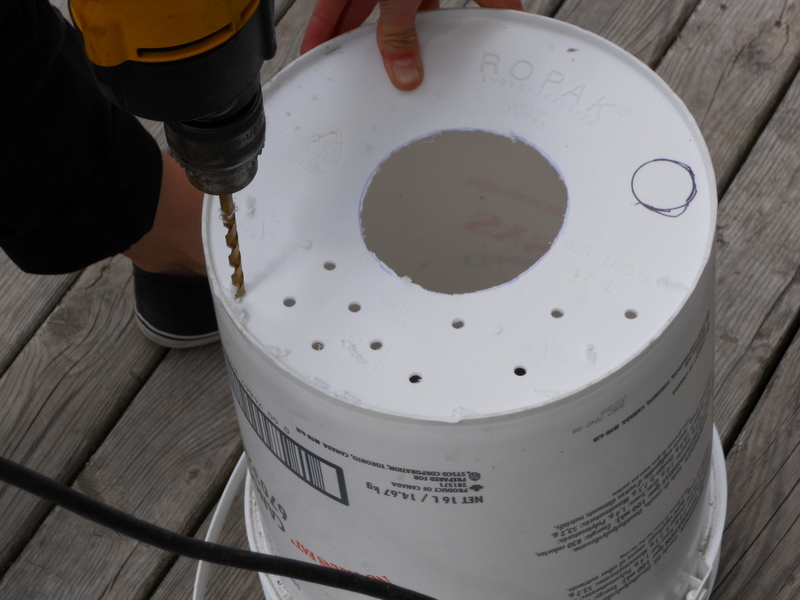 Drill a bunch of 1/ 4’’ holes all over the bottom of that same bucket. This is for ventilation. 3. 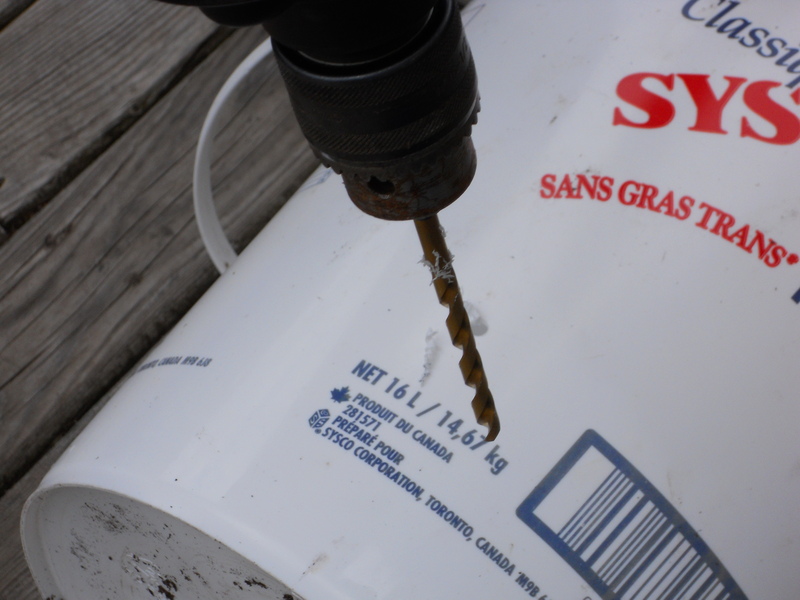 Make a 1’’ hole for the watering pipe, near the outside edge of the bottom of the inside bucket. 4. 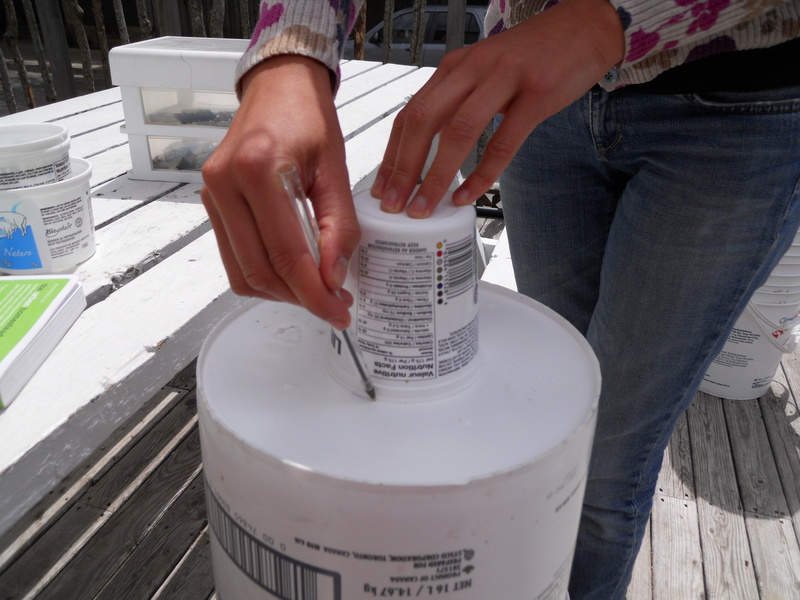 Make a hole in the side of the outer bucket, just below the bottom of the inside bucket. This hole will act as an overflow for the water. 5. 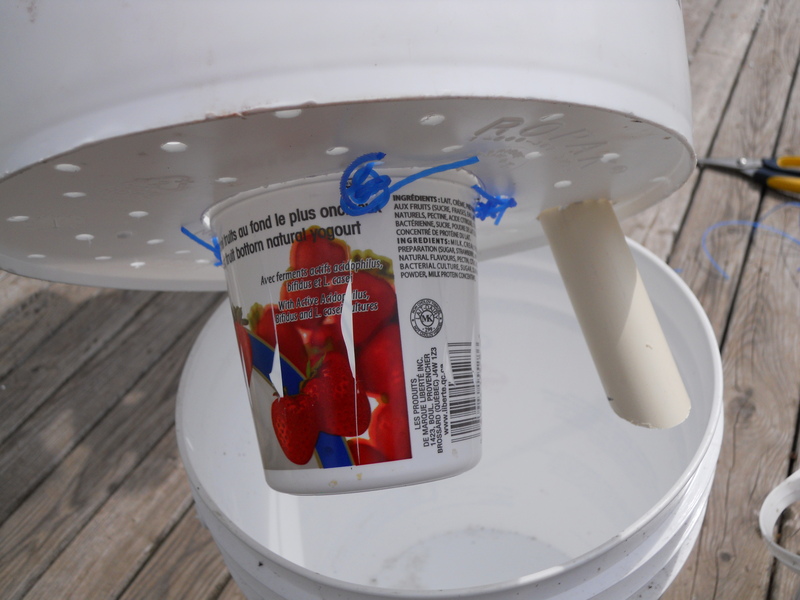 Drill four holes around to the big hole in the center and fasten the yogurt container to the inside bucket with twist ties. 6. 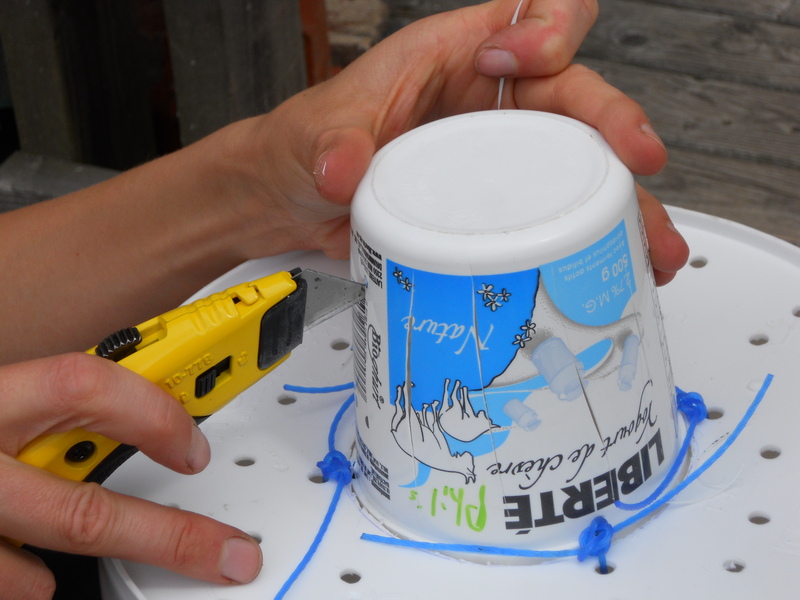 Drill or cut small holes in the sides of the yogurt container, (not in the bottom). This will be the wicking chamber which will allow water to soak into the soil. 7. 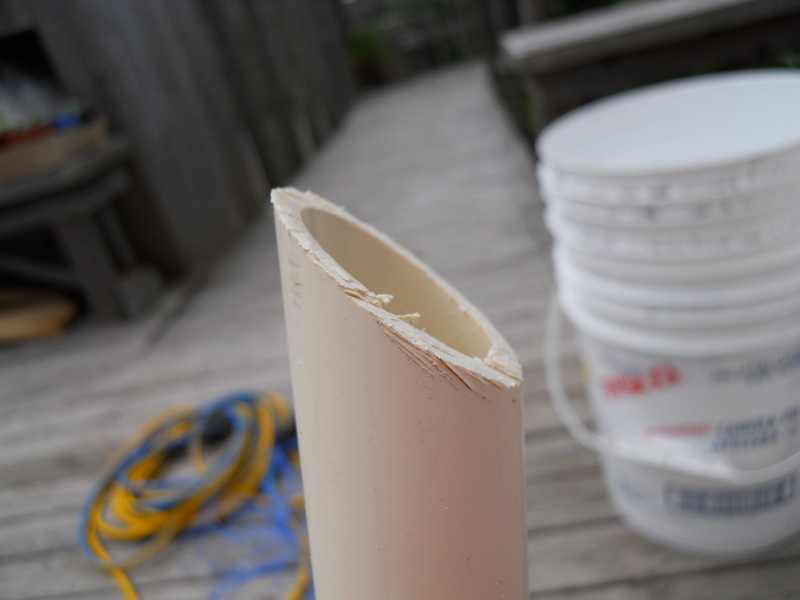 Cut the bottom of the pipe on a 45 degree angle, and place through the 1’’ hole. 8. 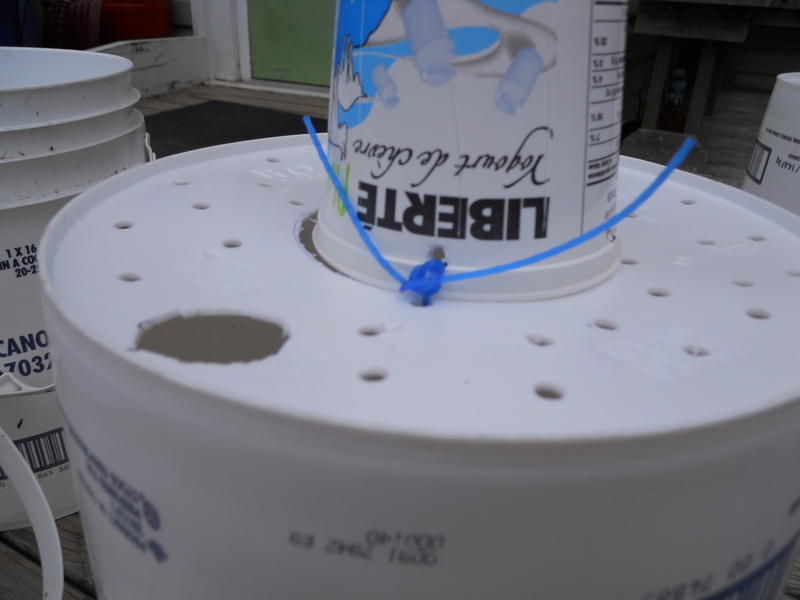 Place the bucket fitted with the suspended wicking chamber into the outside bucket. 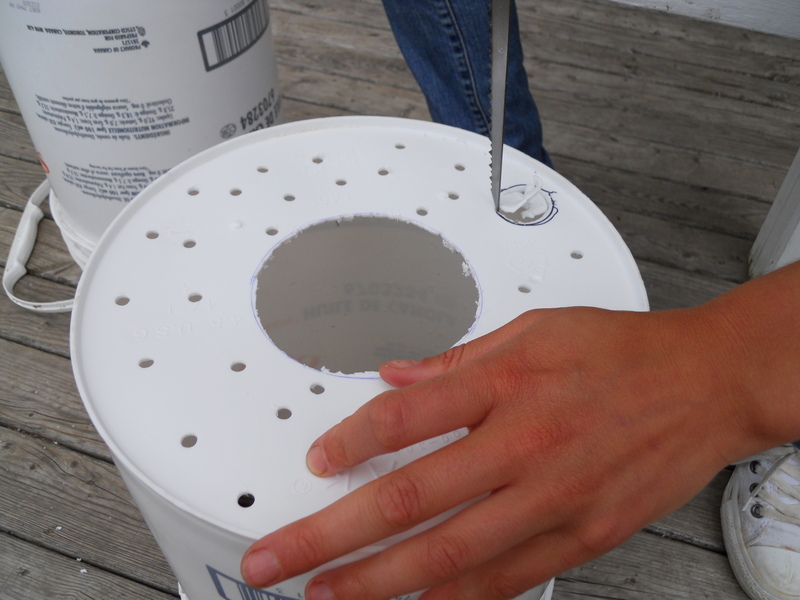 Once you have your bucket put together, fill it (including the wicking chamber) with potting soil. Now you can plant! If you’re going to use fertilizer, sprinkle a tiny bit around the plant and do not mix in. Then fill the reservoir through the top of the tube. You’ll know it’s full when water starts to come out the “over-flow” hole in the side. Source for food-grade buckets in Halifax: check in with any restaurant in your area. 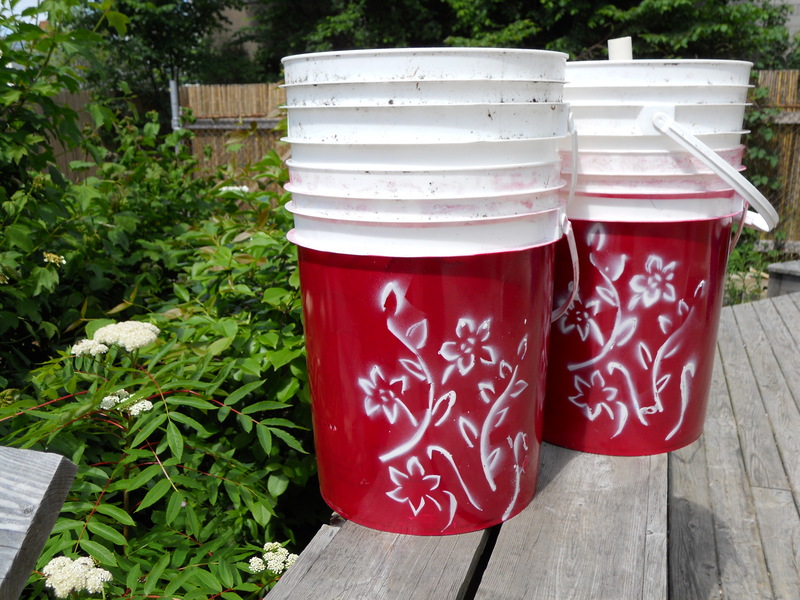 Their oil buckets are perfect for this project. Check out the Edible Campus at McGill University, made entirely of self-watering containers. Dalhousie has been recreating the model here in Halifax.